AFrame comes with a code generator that produces the integration logic for each application function. 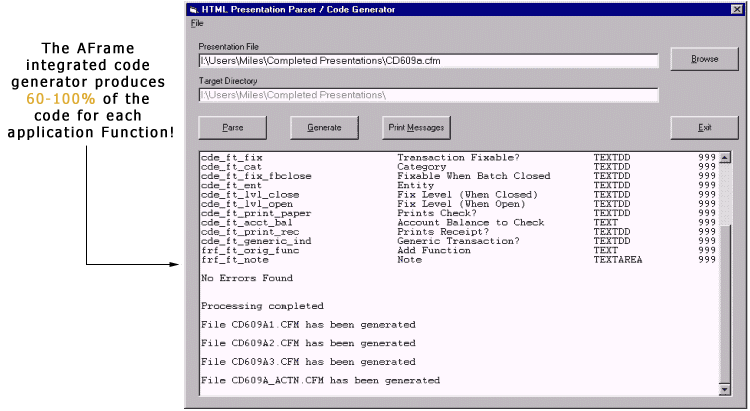 Using the presentation logic (HTML page) as input, the code generator builds each of the components needed to combine the presentation logic, business logic, and data access logic into a package which is attractive and acceptable to the end user. Eliminating the need to manually code the logic provides significant productivity gains and reduces coding errors. AFrame comes with a number of pre-programmed system maintenance functions to maintain the application framwork. 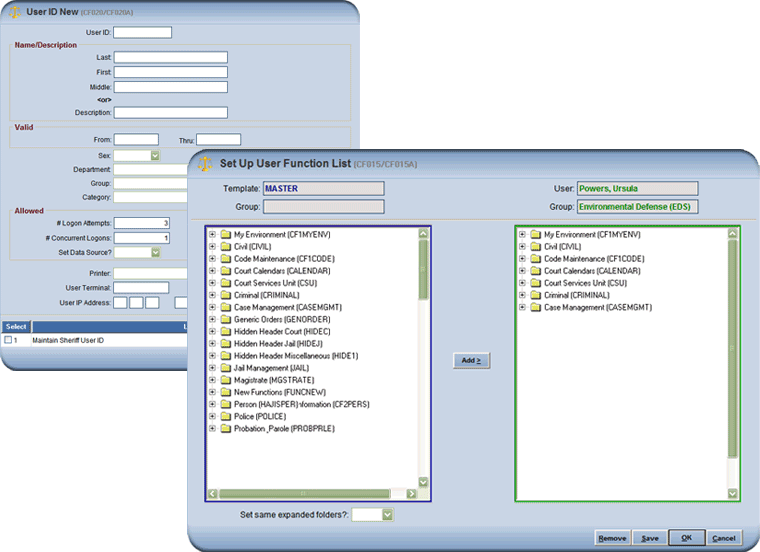 They include functionality such as User ID/password maintenance, Function List maintenance, error message customization, data security administration, editable help etc.